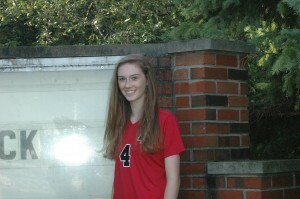 Allison Dennemann had 14 kills and 12 digs to lead a Dragon sweep Monday. The New Palestine volleyball team opened its season with a three-set victory at Connersville. The Dragons won 25-15, 25-11, 25-16. Sophomore Allison Dennemann had a double-double with 14 kills and 12 digs, as well as four aces, to lead the Dragons. Sophomore Mia Long added 10 kills and three blocks. The Dragon JV also won 25-16, 25-15. The Dragons next play Wednesday at Guerin Catholic.